I am really excited to write about this session because it was insightful and aspirational. The number one topic on most sellers minds after they have successfully launched and started making sales is, “how do I scale?”. What really fascinates me is that every seller has their own story. I’ve met a few fellow sellers on forums and living here in Bali over the past few months, and they all have a different backstory. Some started their FBA business whilst chasing freedom and location independence. Others are influencers within a niche and looking for ways to diversify their business by selling related products on Amazon. Similarly, every seller has different ambitions. Some want to grow their SKUs and profits on Amazon alone, whilst others want to grow brand awareness and eventually branch out into their own ecommerce store (or vice versa). What ever your story is, what ever your ambitions are, Amazon is still a growing opportunity and scaling your business is a certain way to maintain success for the future of your business. For this session, we invited Alex Champagne from Empire Flippers, to discuss scaling tactics with us, and give some real life examples of FBA businesses that have sold for big multiples in as little as 12 months! Jungle Slumber Photography is In! With big thanks to FBA hero who did a great explanation of VAT requirements back in session #6 for helping me with VAT and EORI registration, I am now ready to get those sleeping bags into the warehouse. The air freight should land before Christmas all being well, and the Ocean shipment is already in progress and due to arrive on January 3rd. Seriously – if you are launching in Europe for the first time, my biggest piece of advice is to get your Seller Central account and VAT requirements sorted out as soon as possible (when you are doing product research). Don’t wait around, as these things can sometimes take time, with forms to fill and processes to go through. Plus, Amazon Europe are notorious for taking several weeks to approve your account. OK let’s get to it with some scaling tips and examples of successful Amazon businesses that made an exit down the line for a handsome pay out. 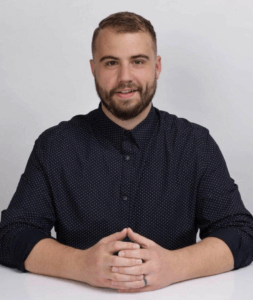 Alex is a sales manager at Empire Flippers and has previous experience of running a web design agency and in growth consulting. He works remotely from Medellin, Colombia and also has an FBA background. There are several ways you can grow your business. Some sellers choose to keep it simple and choose one of them, whilst others combine methods for growth. Here’s Alex’s top scaling strategies that he has seen many successful sellers implement to great success. This sounds simple, because it is. Sort of. Adding more SKUs involves repeating the whole process that we have been through during this case study. Finding products with high demand, and low competition, and entering the market with your own private label version. Of course, you need to be competitive, and you need to get your product research right. Some sellers will launch products across niches and others will try to specialize in a niche. Anecdotally, every seller I speak to claims they make the majority of their sales from just a handful of SKUs. The 80/20 principle, where 80% of your SKUs will absolutely boss it and bring in most of your profit, whilst the rest make small incremental additions to your overall revenue. This is normal, and it shouldn’t discourage you from expanding your SKUs. In our 2017 survey of over 2500 sellers, we found that the average “sweet spot” for number of SKUs is 10. Alex commented that he has seen FBA businesses being sold with anything from 1 to tens of products! Continue searching for new product ideas with the Chrome Extension to add more SKUs! Super relevant for this case study, as I am expanding the MDCS business to Europe. 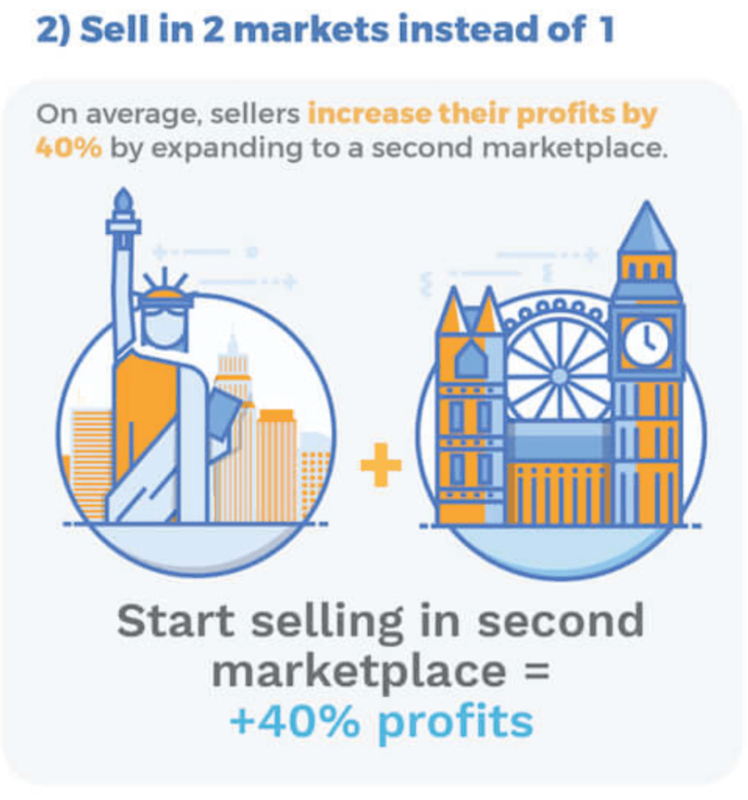 This is another common scaling tactic that sellers use, and many sellers who started in the US can find great product opportunities with lower competition in other marketplaces compared to the US which has become more competitive over the years. When I started on my journey for this case study, I made the decision to research a whole new product idea to launch in the UK. This was to make things easier on myself, as I am from the UK and I don’t speak any other European languages. It was also to ensure that I launched a product that had solid demand and met the product research criteria. I could have just launched our existing products (Jungle Stix and Jungle Snugs) in the UK, but would it be worth it? I would need to do some product research of our own products to verify this. But that doesn’t mean I won’t look to launch the sleeping bags in the US later, or the Jungle Snugs baby hooded towels in Europe. Tip: You can launch your existing SKUs in new marketplaces, BUT first make sure there is enough demand to warrant the extra inventory and shipping costs. Do your research. Meanwhile, try finding new product opportunities in new marketplaces, you’d be surprised at how different consumer trends and levels of competition can vary. Building your own website is another common scaling strategy. In my experience from speaking with other business owners, I hear mixed reviews about this. Some sellers expand this way with great success and others get stuck at common roadblocks. One of the biggest opportunities with selling on Amazon is that you are tapping into their existing audience of shoppers. People who are browsing Amazon wanting to purchase products. When you go out there on your own, you have to build your own audience and capture your own data. I am currently reading “The Everything Store” – a really well written take on how Amazon was founded and how it grew to the monolith it is today. There are so many things that ecommerce businesses all over the world are doing now that Amazon literally laid the foundations for in the early days of the internet. One thing that Jeff pioneered in the early days, that really works to huge success in ecommerce, is relevancy and suggestion engines! I actually did this whilst researching my sleeping bags and considered the opportunity to bundle sleeping bag liners or mats with my product. In the end, it wouldn’t work due to profit margins and production costs. 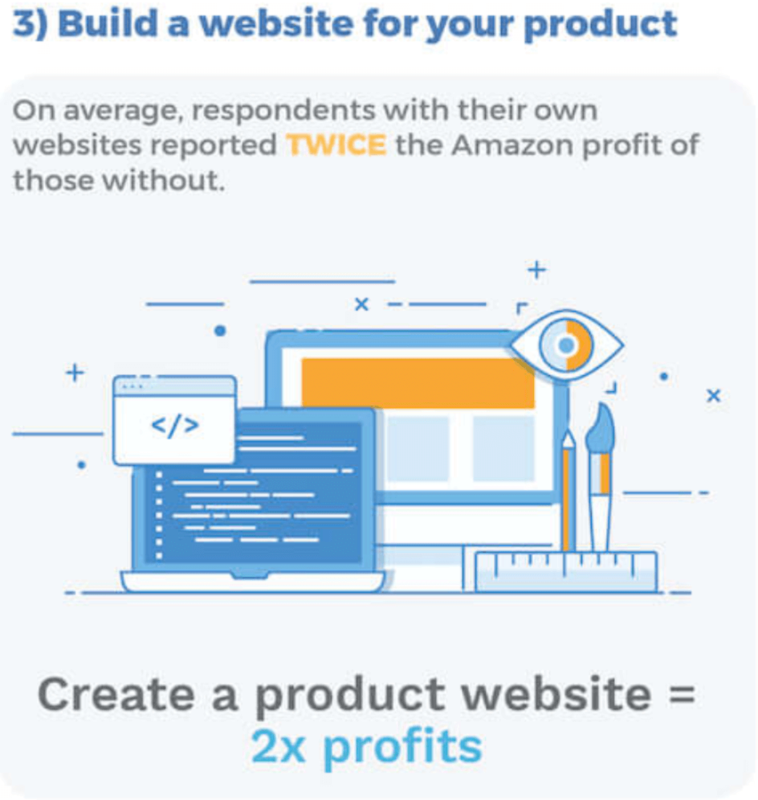 However, Greg mentioned another cool hack which is that you can launch similar products like this, and then run a coupon promo on Amazon where the shopper gets a discount, but ONLY when they buy those two items together! 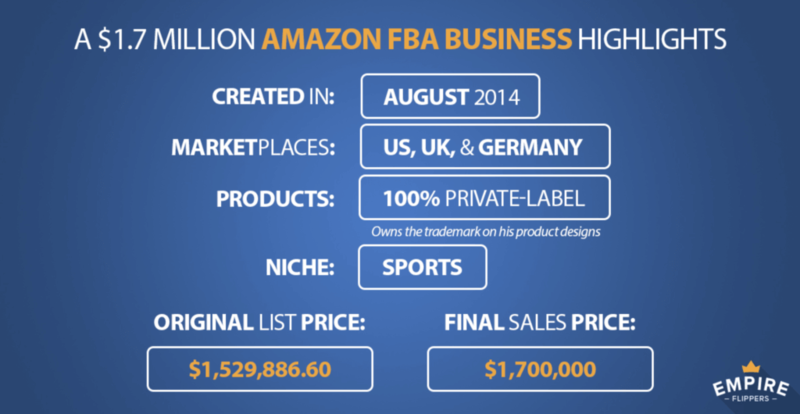 Can You Really Sell An FBA Business? The answer is yes, and Alex shared some really awesome examples that I found really inspiring. Don’t let business decline before selling! Alex’s top level advice is that the more pieces of the puzzle you have in place, the easier it will be to sell, and at a higher multiple. 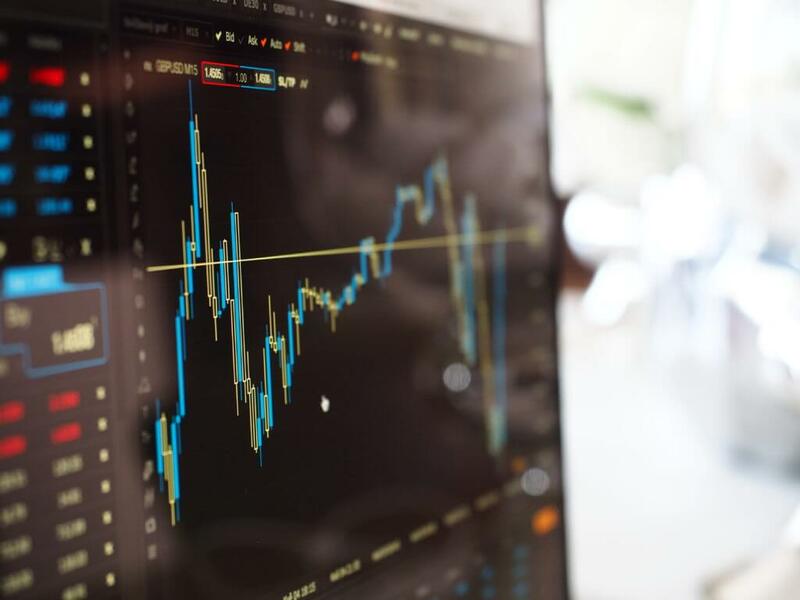 He gives examples of having your business operations in place, like having customer service procedures laid out, have systems set up for your financials, inventory management and so on. The better your business is running now, the easier it will be to sell, as buyers will have more confidence in your business overall. You can go and check out Empire Flippers Valuation Tool, if you are interested in getting a valuation on your business. Here’s a couple of examples that Alex shared that show two very different sides of this. This business specialized in one niche, but expanded with 20 SKUs and marketplaces, and was 2.5 years old when it sold for $1.7 million dollars. The next example Alex shared was only 12 months old with just one SKU which was bringing in $22.8k /month and sold for $500k. This shows the variety of ways in which a business can grow and eventually be sold as an asset. As Greg and Alex discussed in this session, many small business owners forget that their business is in fact an asset that can be sold. Even if you do not have any ambition to sell your FBA business right now, it’s not a bad idea to take Alex’s advice in getting all of your ducks in a row and ensuring you run your business to maximum potential. You never know what the future will hold. Here’s another awesome case study about a business that sold for a huge $3.6 million. Empire Flippers help others to buy, sell and invest in online businesses, and have brokered over $40 Million in total to date. They have been an Inc. 500 company for 2 years, and sold hundreds of FBA, ecommerce and shopify stores. They are the biggest FBA broker and can help you to evaluate and sell your business. Many thanks to Alex for joining us and sharing his top scaling strategies and some aspirational stories about how to sell an Amazon business. That’s all for this week – I hope you found some useful tips and inspirational ideas for your own business strategy. Speaking of growing businesses, in the next session we’re going to do our last session for 2017, with a full year update of all of the MDCS products. Make sure you join in for a transparent overview of our Jungle Stix and Jungle Snugs sales so far, as well as our plans for the next few months to reach our $1 million business goal! 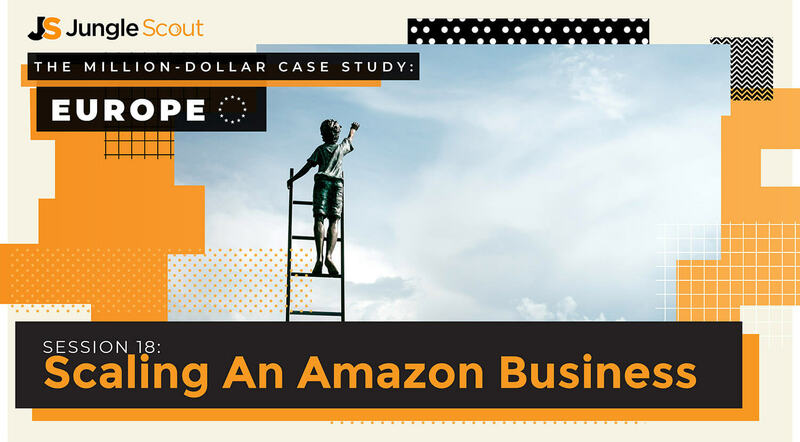 You can scale your Amazon business by expanding and being more creative. You can sell your FBA business as well.